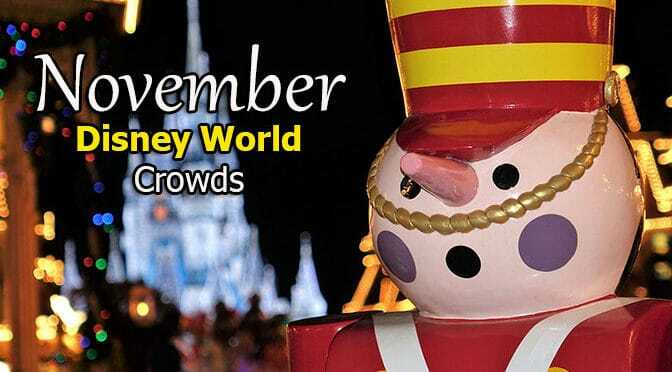 The Disney World Crowd Calendar November 2018 shows the first three weeks of November are generally a wonderful time to visit Walt Disney World. The crowds are low, the weather is pleasant and the entire resort transforms into a Christmas/Winter Wonderland almost overnight. Mickey’s Very Merry Christmas Parties begin early November, as well as the always popular Castle Dream Lighting Ceremony. The Friday following Thanksgiving will launch the Holidays Around the World with the Epcot Storytellers. The second week is somewhat busy because it’s known as “Jersey Week.” The schools of New Jersey are closed that week and many students and teachers take advantage of the opportunity to visit. Additionally the Wine and Dine Marathon will add to the crowds. Epcot’s Food & Wine Festival with the Eat to the Beat Concert Series will wrap up in mid-November. While the first week and the Thanksgiving week really busy, you can manage them with good touring plans and Fastpass+ usage. Sunday Christmas Parties are generally the best if you’re vacationing here. The Christmas Parties allow guests to see the Christmas Parade and Fireworks as well as meet special characters. If you’re planning to attend a Christmas Party, you should either sleep in or take a mid-day nap. 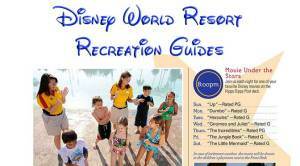 With lower hours than normal, it may be best to spend a day in the parks and spend an evening at the resort pool. The Magic Kingdom will only offer Wishes and Main Street Electrical Parade on select nights each week. Those park days tend to be more busy than others. 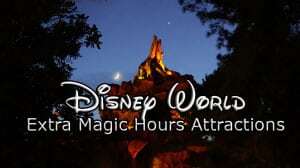 If the evening spectaculars are important, chose the day with the lowest hours or park hop into the Magic Kingdom at night. Yes, it’s highly likely that the park hours will extend for many dates in December. Disney usually releases preliminary hours, then adds hours the closer you get to your trip. With Animal Kingdom now offering “After dark” experiences, you can expect that park to stay open much later. What will the weather be like during your November trip? November tends to begin a cooler and less rainy season in Orlando. You’ll want to bring a jacket for the evening because 50 degrees in Orlando feels like the 30’s up north. There’s still a chance of rain, but it’s much less than summer season. How would you describe the crowd level on the “green” park days but listed as a Heavy Crowd time in general? Do you foresee MK extending hours to open at 8am like they did last year on party days? I think they will open at 8am since I have a Be Our Guest Breakfast at 8:05am! Parks almost always have pre park opening dining reservations! Depending upon the time of opening, yes. When will the nighttime showtimes for Hollywood Studios be posted? Also, do you recommend MVMCP on 11/12 or 11/13? Hi!! What day would you recommend Epcot and HS Nov 11th and 12th? Lady two days of food and wine and Sunday is Veterans Day!! I want to know the same!! Thank you for the great site! We will be there 11/22 (thanksgiving) – 12/1 (sat). That week the Xmas parties are 11/25 (Sun), 11/27, 11/29 & 11/30(fri). Can you suggest what party date might be the best for lowest crowds? I know the Friday one won’t be it, but it works best in our schedule. I thought I heard all the dates this week sold out last year, and if that’s the case I’m thinking it wouldn’t matter then. Thanks for your advice! Pick the least expensive one. The main thing is that you have a good plan in place for the meet and greets. What effect do you project the new Toy Story addition will have on crowds in H.S for the last week of November? Monday 11/5/18 EPCOT is the BEST PARK but Tuesday 11/6/18 EPCOT is the WORST – is that because of the LATE EMH??? Hi Kenny – I know you’ve generally recommended MVMCP on Sunday nights. Do you think that is the best day to do it the week of 11/25 with that Sunday being part of the Thanksgiving crowds? What are your thoughts for best party day that week? Thanks! Everyone is telling me to avoid Epcot on November 4 due to the marathon but you have it marked as a best park. Will crowds still be massive on this Sunday November 4 at Epcot? Thank you for responding…was thinking that Wednesday night would have been best but that is late EMH, so that leaves us with going on Saturday 11/18 which is Dapper Day? Would you still recommend Saturday night Dapper Day over Wednesday late EMH? Not sure how Dapper day effects crowds and it being the Saturday before Thanksgiving? Thanks again, our first time going. Plan is to do bibbidi boutique, CRT then fireworks, very important to little girl. On Nov 4th mk is closing early for special event/cast event- is this set in stone or could the time change to staying opened later than 4:30? That is the intro park hours. I don’t predict potential, only actual. I know you are the expert and I paid for a subscription to character locater because I know you are awesome at what you do, however looking back at past years of November 1st specifically, it has never been a red day, just wondering if there is something specific you anticipate happening on November 1st of this year that makes it a park to avoid? I think what myself and others are wondering is why? Doable sure. Just like visiting during spring break, yes. Our MK day opened early last year so we cancelled our reservation. I’d suggest making it bc you will know with a sufficient time to cancel. Kenny what is making the Magic Kingdom so bad in early November that you not only list it as worse park but AVOID? Cruising this year. Will be at WDW 11/7/18. Plan is to hit HS in the AM to do TS and then leave and go to MK. Corwd calendar says to avoid MK. Is it because of the cruise and next nights are MVMCP? Curious as to why HS is a median park on Wednesday 11/28/18? Is it more crowded on a Wednesday for some reason? Thanks. Also, would you recommend MVMCP on 11/12 or 11/13? Do you expect Magic Kingdom to open early on MVMCP dates as it has in the past? (11/12 & 11/13) Trying to decide if we want to do a park breakfast. I don’t want to do plan one if MK opens at 8:00 instead of 9:00. Are the November 2018 hours official, per Disney? Just FYI – it’s still in the body of the post. Kenny will the first week in November’s crown calendar be released soon…..we are going oct 27-nov 4 and hoping to have somewhat of a plan before our 180 day mark comes in order to figure out dining. Thank you in advance and thank you for all your time and effort you put in to make everyone’s trips even more magical. Entire month released 6.5 months out. Looking forward to a November/December trip! I will be watching around mid-April for your post on the park hours. It says it’s for November 2018 but the only dates listed are for November 2017 still. Date it will be posted is near the bottom. Mid-April. No hours provided before that time. Why has the week after Thanksgiving gone from yellow to orange? How are the crowds compared to October? Gotcha! That’s my plan! I’ve put in a request for a custom Christmas party plan as well, can’t wait for our trip!! I think it’s gonna be fabulous! Hi Kenny! I love your site, thank you so much for making this available to us! We will be in the World from 11/24 through 12/2 and unfortunately made dining/FP reservations before I came across your crowd calendar. I have us going to MK on Monday the 27 which you have as a red day and our other plans are in yellow parks. I’m hoping to be okay using a good touring plan and patience, any other words of advice? Thanks again! Both are long gone. Happily Ever After replaced Wishes and no night parade. Thank you for the reply! One more strategy question, is it better to rope drop Test Track and FP Soarin or vice versa? Planning on AK Nov 16. If I can’t get a FP, what best strategy for FOP? Rope drop, afternoon, evening? One to 2 hour waits for rides are normal during Thanksgiving, but it doesn’t usually close to capacity. It’s still wall to wall people though. Looking to attend Christmas Party on 11/09. Realizing it’s the first day of the party, we are strictly looking to attend for the rides. Will wait times for attractions be crazy since its the first night of the party? Not concerned about meeting characters… Trying to determine if its worth purchasing the tickets for the attractions versus going on a different day that week (11/7) and spending the full day there. Rides aren’t too bad. I’ll have a post soon about ride wait times. 11/5 – 11/11 was not always a HEAVY crowd level. What changed? Is it just jersey week coinciding with Wine & Dine Half Marathon? Or is there something else that you’re flagging as Heavy? Nothing changed. I haven’t made any changes to predictions. Hi Kenny, the crowd calendar has MK closing at 7pm instead of 6pm for 11/9, the first night of the Christmas party. Is this correct? And, if we’re only going to the party do you think we’ll have a problem entering at 4pm for a dining reservation with the new park closing time, or should we skip the dining and just jump on some rides? P.S. Character Locator is AWESOME, well worth the subscription! It was my error. It does close at 6pm. No, you’ll still be able to enter at 4pm. Thanks! Thanks so much!!! I think we will be going with Magic Kingdom and Animal Kingdom. Now the question is do I go to Magic Kingdom on Nov 30 when it has a early closing time or Dec 1 when it has emh but still closes early? You have both listed as best park days and both days are moderate AK days. Thanks again!!!! Great Posts!! Question: For the most of the last week of November (that’s all I checked), the crowd calendar shows Hollywood Studios closing at 8pm, but Fantastic happening at 8:30pm. How does this work? It happens sometimes that they run the show after all the rides are closed. They could also extend closing times. HI Kenny! I noticed that Nov 1st is listed as EMH for AK, but WDW site shows it’s just a regular day. Does that change your prediction from it being the worst park that day? Thanks for all you do! Can’t plan a trip without Character Locator!! Looks like that was my error. I’ve adjusted it. We are going the last week in Nov and have 6 park passes without the hopper option. Which two parks do you suggest going to twice? We have a five year old ride loving child and a 7 year old who is picky on which rides to ride (he doesn’t like coasters and heights). Love your advice and this will be the second trip I have used it for! Magic Kingdom for sure. The other park would be a matter of what attractions you’re interested in viewing. Oh, I totally get that each day/week/month/year is its own beast and that past trends guarantee nothing!! I was just curious. Thanks so very much! Thanks so much for this information. I attempted to sort through everything here, but couldn’t find an answer for this question…. Has the information listed for previous years been updated to reflect the actual weather and crowds or does it still reflect the published weather forecasts and what you predicted in terms of crowds? Thanks, again, for such great information! Weather is handled automatically through a service for which we pay. It reflects actual past and forecasted future. Past crowds don’t determine future predictions though. Each is different. Taking my boys (4 & 6) for the first time this year 11/27-12/3 and I’m bummed that MK is closing 6pm or earlier three of the nights that week, including on my son’s birthday. They won’t stay up late enough to make MVMCP worth it, but 6pm is way early – can’t even do a birthday dinner in the park. Frustrating. Trying to decided on vacationing 11/13 – 11/17 or 11/27-12/1. 11/13 being veterans day and still wine fest at Epcot worries me. Crowds/lines are the main thing I like to avoid. Is one going to be a big difference over the other? Is Veterans day going to make crowds worse? And that combined with the Wine fest at Epcot on 11/13……is that anything to be concerned about? Any predictions on which nights ROL will be offered in AK the week after Thanksgiving? I see in September it’s only offered Sat, Sun, T, Th. We were planning to use our park hopper on M, W, F (with “break” days on T/Th) but wondering if I should re-think that. Dining reservation window opens next week which is the only reason I’d love to hear your best guess at this point! When are the Cinderella Castle Dream Lighting dates usually announced? Does the castle remain lit the rest of the night or just during the show? Thank you!!! It usually begins a couple of nights before the first Christmas Party. It stays lit all night. Also, really think MK is the best park to visit on Thanksgiving day? Other sites say it is insane to go to HS or AK. If you don’t have park hoppers is worth the risk? I cannot predict a sell out date. Buy them at least a month before to guarantee yourself. When will the schedule for ROL come out for November? It says the park closes at 7:00 so can I assume it will be around that time? I’m guessing AK is open longer now because it doesn’t get dark until later? Is there a chance the park will stay open later than 7:00 in November? Thanks for any input – we love your advice! thought on better night for Xmas party..? Neither, but a good plan is always better than picking the “Best date.” All parties are busy and weekday parties are the worst. Sunday is best. You’ll do much more with a plan from http://www.characterlocator.com. Where are you getting the hours from ? While it maybe true there are extra special things going on in MK, I don’t know if I can justify the extra expense for a few hours, especially with a toddler. I’d like to get an expert opinion. Currently my family is booked at Wilderness Lodge Resort 11/13-11/17, checking out the 18. Just reading about Christmas Party in MK and it seems like this is not a benefit, since you have to pay an additional $80-90 to stay in MK past 7pm. So really, there would only be one day of our trip to enjoy MK (15th) for a full day without paying extra. We usually don’t do a park on arrival day (13th). Am I right? Christmas party offers speical entertainment and characters you won’t see otherwise and most rides have zero wait. As for which day has which hours, it’s on the links here. I would like to see MK regular fireworks one night but my only options are 11/15 or 11/19. I would like to see the regular fireworks my options are 11/15 or 11/19. As of right now we don’t have parkhoppers. Thanks! Click on the crowd calendar dates you are looking for on the bottom of the post. Fantasmic and Star Wars haven’t been added at this time. Go to MK on a light crowd day that has EHM or a lnsane crowd day with no EMH?? What dates? I would avoid an Insane crowd level day. Nov 10 and 11 are missing? Note near bottom that Mobile users need to be subscribed and logged in. Desktop can view full. Do you recommend MVMCP on 11/26 or 11/28? I know you prefer Sunday’s, but wondered which would be less crowded since it’s a moderate day on the 26th and light crowds on the 28th. I’d say crowds will be similar. As always the one with the best plan wins, so use a plan from http://www.characterlocator.com and you’ll do just fine. Are the EMHs for November 5-11 up to date and do these recommendations take into account the 2017 MVMCP? Or is it sill a bit of a guessing game until Disney publicly releases park hours? Thanks! What does non guest event mean on November 30? Going Thanksgiving day until the following Wednesday. We are trying to figure out the best park for Thanksgiving Day. I was surprised to see that MK is green and Epcot is red. Just curious as to why that is? If rides and characters are your better interest, I’d dump the over priced breakfast with no Beast and go have fun. Hi Kenny! I noticed that on November 28, AK is a green park and EMH is not listed. It shows as an EMH day on the Disney site. Would that cause you to change it to a red park? Also, just wondering what makes HS a yellow park on November 30? I probably should have switched those park days, but dining and FP+ are set so we’ll just have to deal with whatever comes our way. Corrected, thanks for pointing out the error. It’s yellow because it experiences the 2nd highest crowds of the week that day. Good plan always beats bad day anyway. I added 11/26/16 onto my reservation when faced with unbelievably high flight costs on 11/27. I originally thought that Epcot would be a viable choice for the end of this busy week. However, I see that it is flagged as a red day on the crowd calendar. Could you tell me what makes it a bad choice, as compared to HS? Thank you! What is the special ticket event at Hollywood Studios on November 12th? I ran into that last year during my trip that week. It is the annual cast member party I bet. Hi Kenny! How crowded do you think World Showcase will be on the last day of F&W, Monday Nov 14th? We can’t get to WDW until 4:00 that afternoon. Thank you!! Shouldn’t be bad. Only Frozen Ever After will have a line. We were planning on going to Hollywood Nov. 6th, but it is red. Why is that Disney park red on Sunday but the rest are green? Or am I reading it wrong? We will be at Hollywood Studios Nov. 12. We have the Fantasmic dining package and will be seeing the show at 7:00 pm that day. Any idea what time the Star Wars fireworks might be that night, and will we be able to do both the show and see the fireworks? What is the best way to get from the theater to a good viewing spot for the fireworks? Love your site, it’s been a huge help. We are going to Disney Nov 27 – Dec 5. There will be a Wishes show Monday, Wednesday and Saturday of that week. Which day would be best (lowest crowds) to attend? We are at MK, Tue and Thur (low crowd days) but no fireworks. We are not going to MVCP while we are there. Another “blog” is posting an article about how crowds will be record LOW this November. I’m not sold on this theory. What’s your take on this? Should i go to Magic Kingdom on Sat 11/12/16 or Mon 11/14?? I’ve heard from a park employee and Orlando resident that the 3 days right before Thanksgiving are fairly light, that’s when she takes her kids. What’s your take on that? The week before Thanksgiving week is lighter. Any day of the week of Thanksgiving is not even close to being light. For crowds, would parks be busier 10/29-11/3, or 10/31-11/5? I wasn’t sure how much the half marathon and other races affect the crowds. Thanks!! Thanks! I love your specific information. Great website!! I just made reservations for 10/29-11/4. We want to go to MK twice, the other 3 parks once each, and maybe a favorite park/rest day. What days would you recommend for each park, 10/29-11/3? Thanks! Park recommendations are listed as green park. Worst park is red and median park is yellow. You may want to visit Epcot 2 times as there’s a lot more to do with the new Frozen things and meet and greets. Thanks! Crowd calendar says green for HS on Sat. Oct. 29, but we won’t get into a park until mid-afternoon. Would you still recommend HS? I was thinking Epcot instead, but I’m not sure it’s a good idea to to go on a Sat. during the Food & Wine Festival. We could do mostly Future World on Sat. and then go to Epcot again another day on our trip and do both FW and World Showcase. What would you recommend for 10/29? THANKS!! Really depends on what rides you want and what fp you get. Hi Kenny! We are planning a trip for 11/29-12/2, which looks like it should be a light week in terms of crowds. Trying to book ADR reservations this morning at 6am was horrible though! It looks like even lower priority restaurants like Mama Melrose’s and T-Rex are booked up, except at a 9:10 time slot for T-Rex. Any idea why there is no availability? T-Rex is odd when it comes to reservations. Get a Landry’s card and you can just walk in. Availability is low due to Free Dining Plan being offered. Do you think Disney will offer a room discount for mid-late November? If so when do you think the discount will come out? Going to be in Disney from 10/10-10/15 was hoping to do pirates and pals cruise with the kids. as of now there are no wishes scheduled even for non Christmas party days. will that change? if so when? Any idea when the hours will be updated for November 2016? I find it hard to believe that there is no Main Street Electrical Parade during Thanksgiving week and that AK closes at 5pm, given the new night time entertainment lineup. Thanks! Gets changed frequently between now and then. I was wondering this too…how do we know when Fantasmic is? Would you say week before or after thanksgiving is better (crowd & weather wise)?? Our family is traveling from 11/10-20. 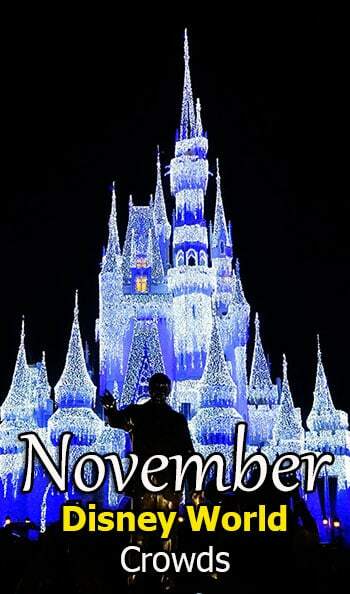 We had originally planned our full day in MK for 11/17 since we are doing MVMCP on 11/15. Now seeing the shorter hours I am wondering if we should reconsider? Do you think the lighter crowds would allow us to fit as much in on a shorter time frame? Yes, because holiday crowds will be gone. Why is MK closing at 4pm on November 17th? Hi, i know you recommend going to mvcp on sundays but will it also apply for sunday after thanksgiving? Do you think the EMH will change on the 4th? The 5k is that morning at AK – wouldn’t it be difficult for them to have EMH as well? Just curious, why is the best day to visit, in terms of waiting times, a Christmas Party day? I was at Disney in November of 2015 the 10-21, when the free dining option was available. It was crowed not lightly either. Waits 80-90 minutes for some rides. People were packed in. So if they are offering the free dining be prepared for a crowd. Don’t get me wrong we still had a great time, we love Disney. The weather was amazing and we had some great family time at the pool. We saw all the Christmas themed events, which were awesome, some of the best fireworks I have ever seen. Crowd wise I will not go back in November again. When will the November 2016 crowd calendar be available? I only see the 2015 one. Thanks for all your help! What do you think the crowds will be like the week after Thanksgiving 2016? Starting with Sunday 11/26/16? What time is the parade at MK the week of the Christmas Parade recording. You show it at 3 each day and Disney entertainment part shows the festival of fantasy parade at 5 the days of taping? Are there 2 different parades? Looks like Disney finally updated their parade time. I just changed mine to 5pm as well. thanks for pointing this out! I LOVE your website. As a TA, I use it almost daily. I am disappointed with the crowd calendar for this week. I knew it would be crazy based on not being able to get reservations for anything but with it being the only week of free dining during the Christmas Party I can’t believe it was predicted to be such low crowds. I had already warned my clients that I thought it would be bad. Why do all (not just yours) of the crowd calendars say low??? I feel like I called it way before this week happened and I’m no expert. Free dining takes away dining possibilities. I’ll pull wait times at the end of the week that demonstrate that this week will indeed be a low week overall crowd wise. Hi Kenny! Have been very much enjoying all of your useful info. I just wanted to point out that you have Blizzard Beach listed as open and Typhoon Lagoon listed as closed when actually BB is closed for refurb in November 2015 and TL is closed in January 2015 for refurb. I’ll take a look, thanks! 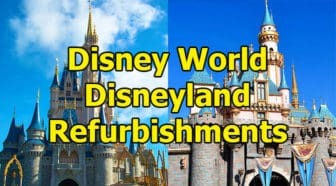 Any idea when information on the MVMCP will be out? We have tickets for Nov 13th. We are leaving for the trip the 6th… I guess they don’t put that stuff out until the Halloween party is done? Do you have Character Palooza times for November? I checked your Crowd Calendar and there’s 3 times for Palooza. I didn’t know if these were updated or not, just wanted to check. What is it about HS that makes it more of a park to avoid on Thanksgiving day than MK? Thanks! Curious that you recommend Magic Kingdom on Thanksgiving Day while other sites say that they are the most crowded. Can you let me know why? Because the other sites are wrong I suppose. Hi Kenny, do we have ANY chance of getting a fast pass for the electrical parade the Friday after thanksgiving at 30 days out? Staying off property and wanted to see if we could fit it in on arrival day. Hi Kenny! Wondering what park you would recommend for our arrival day (Sat, 11/28)? We land at MCO at 11:30am and will be taking DME and staying at ASMusic for a week. Trying to plan park and meals for our trip. Thanks for all the great information you provide! What is up with dining reservations? I have been several times so have done ADR’s, but I and lots of Mouseowners are seeing very little to no availability at the 180 plus 10 mark for the week before Thanksgiving which is really slow. I am considering not doing any dining ressies or fast pass and just see, but we are a family of 6. I am getting a little worried because I see tons of people booking for the 2nd week in November. When I talked to a Disney cast member, they said I should go to MVMCP during the week. I was going to choose Sunday like you said, or go on a tuesday. Can you tell me why they are telling me something different than what you are recommending? Hi Kenny, great website! Question- does the crowd calendar print in color? Tried two different printers (work and home), and prints in black and white only, even after specifically choosing to print in color. Thanks! Is veterans weekend before or after the holiday? It’s a Wed this year…trying to plan. Hi Kenny, It looks like every other Wednesday at HS is moderate crowds, even without EMH. The way our week is shaping up, we will likely go to HS on Wednesday, November 4. What is drawing more crowds on that day? I look forward to using your new touring plans this time around!! Curious..are the parks that crowded later in the day on days with early EMH? Or is epcot that crowded on the late night EMH? We haven’t been in 4 years but I don’t recall crazy crowds later in the evening. Epcot had a lot of red days and it’s one of our faves. We’re arriving on veterans day. Thanks for all this info!! Veterans weekend is really busy. Parks tend to die off in last couple hours of operation, but Epcot for Test Track and Soarin will keep lines until last 30 minutes. Park hours could extend but they don’t change late entertainment hours. They can always add a second parade, but Wishes won’t move. Kenny, When does disney usually announce the official dates for the Osborne lights? Or details on characters at party? Thanks! Hi Kenny, do you know if the Character Palooza will continue in December? And do you know when the Narrators for the Candlelight Procession are announced? Likely. Usually in the late fall. It seems odd that HS closes at 4pm on 11/17. Is that normal? Hello Kenny! I am only seeing 2014 November. Do you have a 2015? Thanks for everything! LOVE this site and app! Looks like Nov 2014 is still loaded and no Nov 2015 yet. Do you know when Nov loads? After I build it :) Hours aren’t released until this coming week. Do you have the crowd calendars for November 2015? Still no word on this for the rest of November? Thanks. Character Palooza seems to be extending for at least November, so do you know what times it would be at with a 6:00 fantasmic, or with fantasmic at 6:00 and 8:30? Thanks! Just updated my November Crowd Calendar, but the info is and has been on CharacterLocator.com all along. First off, thank you so much for all you do Kenny. We are about to head out to our 3rd trip to Disney and this time I found your site and feel so mush more prepared :) I have been checking back for November info for the Character Palooza and still don’t see anything, is it possible they have done away with it for the months? Thank you in advance for any light you can shed on this. Hi Kenny! Any new on November Paolooza? Thanks for all your hard work! Only through Nov 9 at this time. We’ll see if it moves beyond that. Hey Kenny I will be at DHS on 11/28 and AK on 11/29. Do you know when the palooza’s will be on those days yet? No. I update this page when I have accurate information. okay great, thanks for the info! Just curious as to why you have Nov 18th as red for MK. No EMH that day. It’s the day after a Christmas Party, so more people will migrate to the MK for the evening spectaculars. Hey Kenny, I think your Epcot hours for Nov 9th need to be updated..10pm close with 10pm Illuminations. Kenny any idea when you will know about character palooza for November? Don’t know at this time. Are they doing the character palooza nov 4th? That’s the only day we have for Hollywood studios! Thanks! Is there a reason why thursday, November 13th is more crowded than the friday after? There’s a Christmas Party on both days. Do You think it is possible to combine Animal Kingdom with a Christmas Party in Magic Kingdom? We are two adults without kids – so I thought we could see two parks for less money! Great site by the way! Very helpful. Extra Magic Hours attract more people. Yes we’ve done AK and a party in the same day. I’m looking at several crowd calendars for November, and yours shows a “lighter” (comparatively) crowd level for the 2nd week of November. What’s your take on what wait times are, realistically? Does the Wine & Dine Marathon have much effect on the crowds that week – do people just stay since they’re already there? It affects Epcot’s crowd level and somewhat the attractions at Epcot, but doesn’t really affect the wait times too much at the other parks. Great! Thanks! We skipped Epcot last time because our kids were young & wouldn’t appreciate it much (if at all). We’re planning on going next year, so we’ll just try to choose a day later in the week to avoid the crowd. Does the Characterpalooza happen also when the Spectacle of Lights are being shown or do they not do that during this time of the year?